This other war was the Soviet war of deception, corruption and subversion waged from Moscow against the US and GB. While FDR and Churchill embraced "Uncle Joe" Stalin as their indispensable ally against their common enemy Hitler, "Uncle Joe" Stalin was all the while secretly waging a covert war against them, his putative allies, FDR and Churchill, directing intelligence armies of traitors -- American and British traitors -- embedded in government in Washington and London. These agents of Stalin stole secrets, yes, but, far, far more important, they influenced Allied war and peace councils and beyond. Thus, Communists remade the postwar world in ways we, amazingly, still scratch our heads over. How? This mechanism of corruption is the crux of American Betrayal. This same corruption is evident beneath the surface of VE-Day, if we dare to look. Vanquishing Nazism, releasing Europe's by-then remnant Jewish population, halting the killing -- these are great and epic achievements, of course. (But consider, as I posit in American Betrayal, that there is a strong likelihood that -- sans Stalin's infiltration of Washington and London -- Hitler might well have been defeated years sooner, saving millions of lives and much of civlization.) These, however, are not the only things that happened in this anniversay month of victory over Hitler's 12-year Reich in Europe. May, as readers of American Betrayal know, is also a month of betrayal. Somewhat familiar in our collective memory is the betrayal of civilian populations awaiting true liberation from Nazi rule by Americans and British forces, not re-incarceration by the Red Army. The record remains incomplete as to the steps that led to the colossal disaster of General Eisenhower ordering US armies to halt short of Berlin and Prague and elsewhere, permitting Red Army forces to move in and lock down these nations for the next half century. It is a measure of resilience of the surface narrative of World War II that the only thing controversial about Eisenhower today is the shape of his coming monument by the National Mall. Far less familiar, however, is the US-British betrayal of at least two million Soviet-claimed nationals, forcibly repatriated by US and British forces from Europe (also from the US and Britain) in nightmarish episodes of suicide, violence and pathos known as Operation Keelhaul (1944-1947). Those forcibly returned to certain death or the Gulag included nearly one million anti-Communist Russians, German POWs who formed the Russian Army of Liberation against Stalin, under the command of anti-Communist, anti-Nazi General Vlasov. The very existence of such an army -- POWs who took up arms against their own country by the hundreds of thousands -- is surely unique in history. Betrayed to Stalin before they could liberate Communist Russia, they did manage to liberate Prague. In the July 14, 1945 edition of The Saturday Evening Post, there is a story called "Prague's Four Fantastic Days" by Ivan H. (Cy) Peterman. Reporting from Prague, Peterman tells what happened in the final days of the war when Czechs spontaneously revolted against the city's German occupiers after hearing radio reports that Russian forces were not too far away and American forces were quite nearby. Even as VE-Day was announced, the Germans ruthlessly fought back, sending tanks against Czech civilians who had taken to barricades in the city. "The Czechs made repeated calls for help to both the Americans and the Russians," Peterman writes, noting the Russians were still two days away. "It was true the Americans could have rolled against no resistance the remaining 58 miles from Pilsen in a couple of hours." Eisenhower, however, ordered Patton to stay put. By this time the streets of Prague were something out of this world. Every twenty-five or fifty yards there was a barricade teeming with patriots ready to die if they have a shot at a German. But the Nazi tanks were winning the battle of Prague. Then suddenly rescue came in the most amazing fashion. 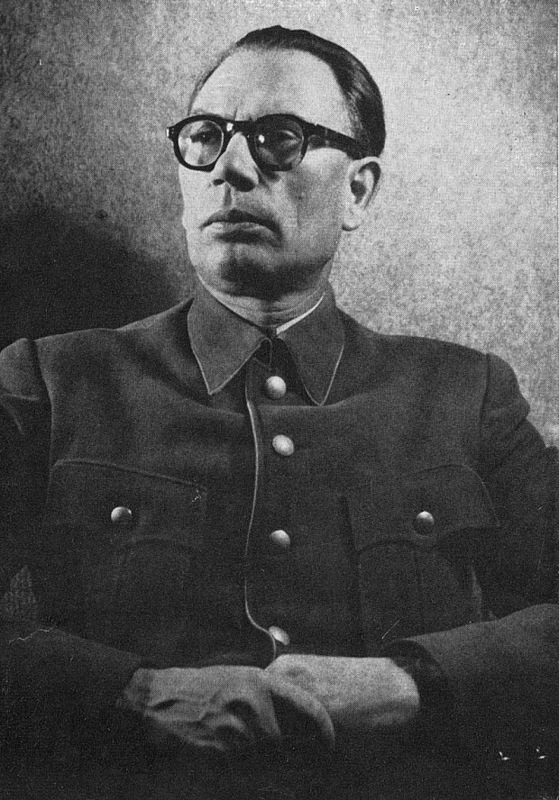 General Vlasov, until the last fortnight of the war fighting with the Nazis [NB: Vlasov's army was already flouting German command], suddenly decided to line up with the Czechs. Although the Red Army had placed a price on his head, he marched from nowhere into the suburbs of Prague and threw consternation into [the German] camp by blocking the German escape lanes out of the city. There then ensued the atonishing spectacle of Czechs wildly cheering this renegade German-Russian army of 22,000 men which had come to their rescue when Soviet and American forces had failed to answer their desperate appeals. In the midst of the battle, a Communist-dominated "Czech government" formed. They announced on the radio that, while Vlasov's aid was gratefully received, his role on behalf of Czechoslovakia must not be construed as something that would alter the charges held against him by their Soviet friends. Vlasov and his men vanished into the nowhere whence they had come. We don't read such things in our consensus-history books, but the story lingers. When the current Czech president, Milos Zeman, last month promised to honor Gen. Vlasov and his anti-Stalin Russian Army of Liberation in Moscow where he would be marking the 70th anniversary of VE-Day with Putin, The Telegraph called this an "embarasssment" to Putin since Vlasov and his men are still regarded as traitors in Russia. Zeman appears to have pulled back on his promise. Instead of honoring Vlasov and his men in Moscow, Zeman mentioned them in a pre-trip interview on Russian radio, "which," according to praguepost.com, "he considered an `act of bravery.' "
Bravery? Zeman wouldn't have to be "brave" if the rest of the world recognized Vlasov's curious and deeply tragic role in the war, of course. But that would require reckoning with the US role in Vlasov's tragedy, which would mean reckoning with Operation Keelhaul. Which is a long way of saying there is more to VE-Day than flag-waving.